While I received items at no cost all opinions and thoughts expressed within this post are mine and I only share quality products that I myself believe in. 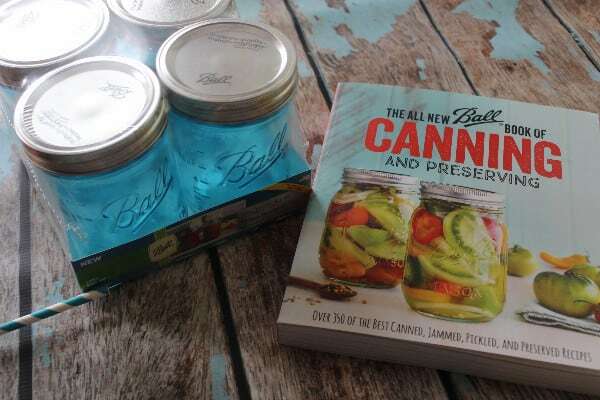 I got The All New Ball Book of Canning & Preserving to check out along with a case of vintage blue jars to check out and choose a recipe to share with you. 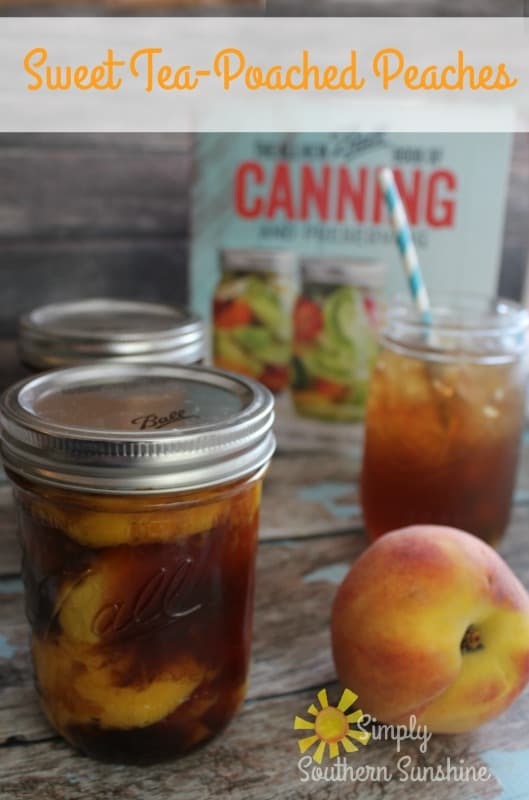 I thumbed through the book and while I found a ton of amazing looking recipes the one that really caught my eye was these Sweet-Tea Poached Peaches, I mean come on, it's sweet tea, peaches, and a Ball jar, how could I not make this? 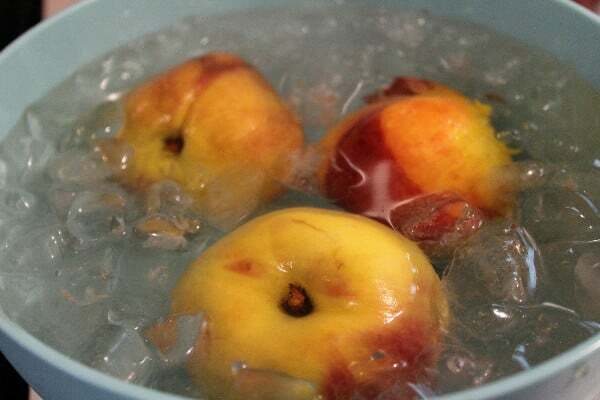 They are delicious out of the jar, on ice cream, and next they are going in my homemade peach cobbler. 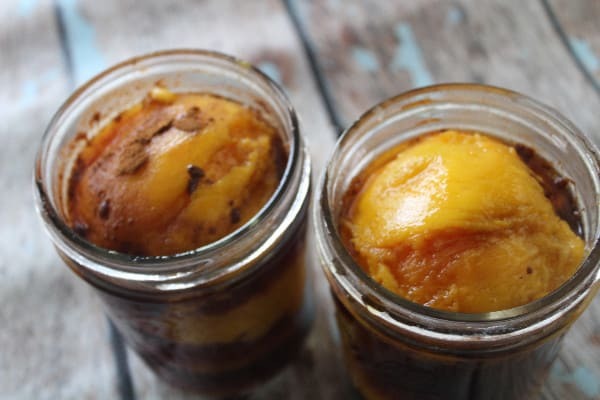 If these sound amazing to you as well keep reading because I am sharing their recipe and if you stick around to the end they are also letting me do a giveaway! 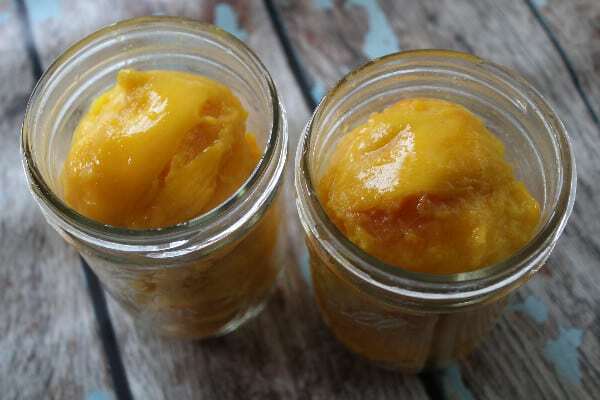 This recipe excerpted from The All New Ball Book of Canning and Preserving, published by Oxmoor House (2016). 2. Bring 31⁄2 cups water to a boil in a medium saucepan. Remove from heat. 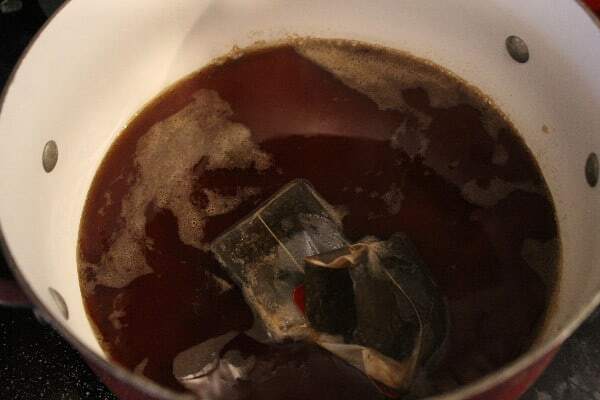 Add tea bags; cover and steep 15 minutes. Remove tea bags. Stir in sugar, honey, and 3 Tbsp. 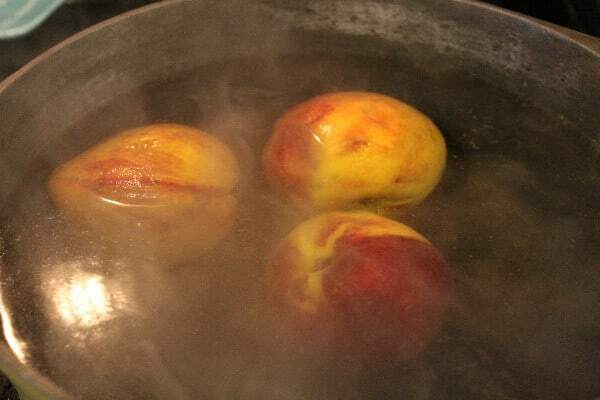 lemon juice; bring to a simmer. Keep hot. 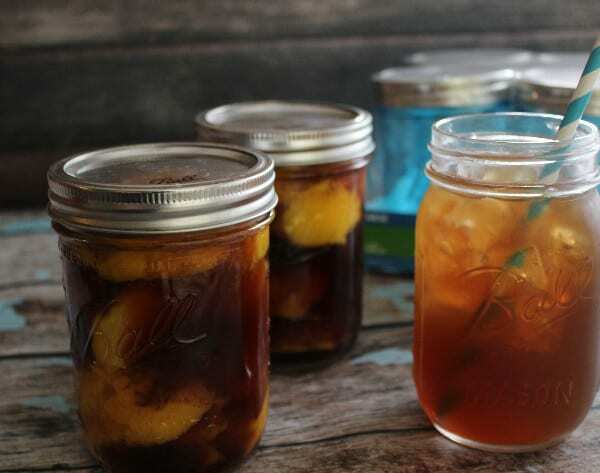 *I used large tea bags to make it even stronger as I love the flavor of sweet tea and wanted it to pack a punch! 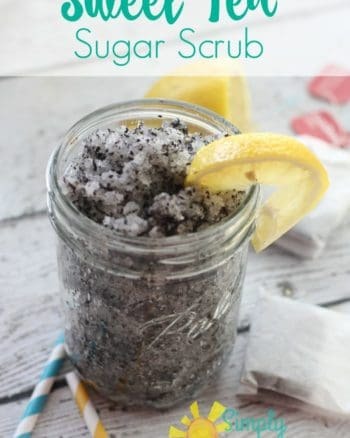 I added some cinnamon to mine as well as suggested in the book! Nope not a cop out at all, I use mine for everything from canning to art supply storage and seed starting… and Overnight oatmeal. 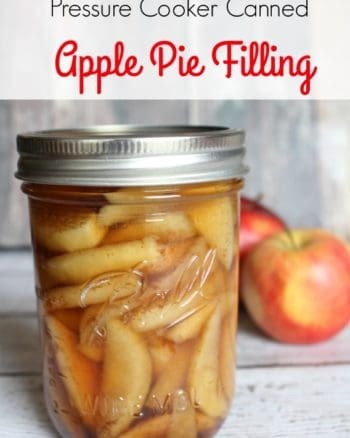 I have dozens of jars and use them all the time! Pickles, pickles, and more pickles! I am going to get brave and try some new varieties this year. 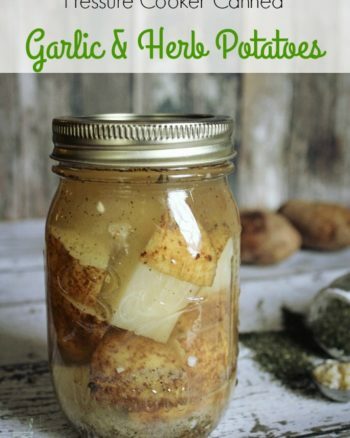 Dill is my fave, but I think 2016 is the year of expanding my pickle horizons! I am expanding into things like pickled okra and pickled cauliflower this year! I’d use to can salsa and other tomato recipes. I have lots of them ready to harvest!